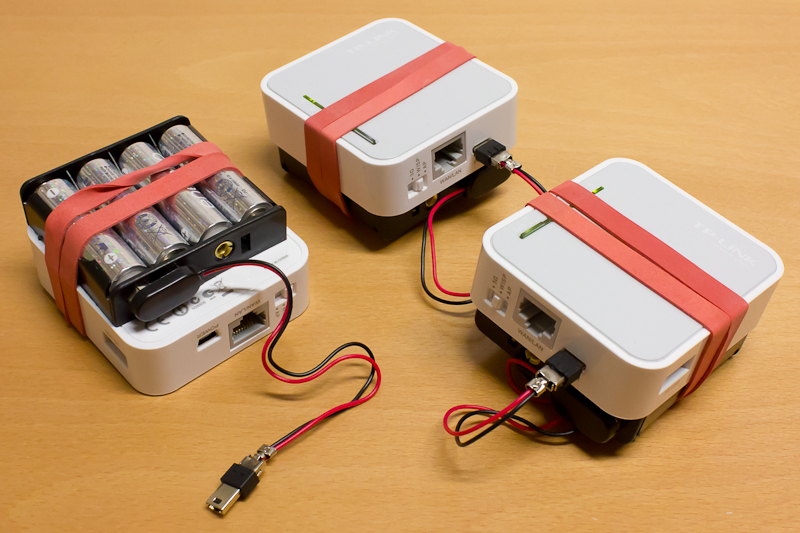 I’m currently working for a personal project on battery powered wireless LAN devices which in the end should be able to automatically connect to each other within a wireless network mesh. I’m using three TP-Link TL-MR3020 routers for my experiments. 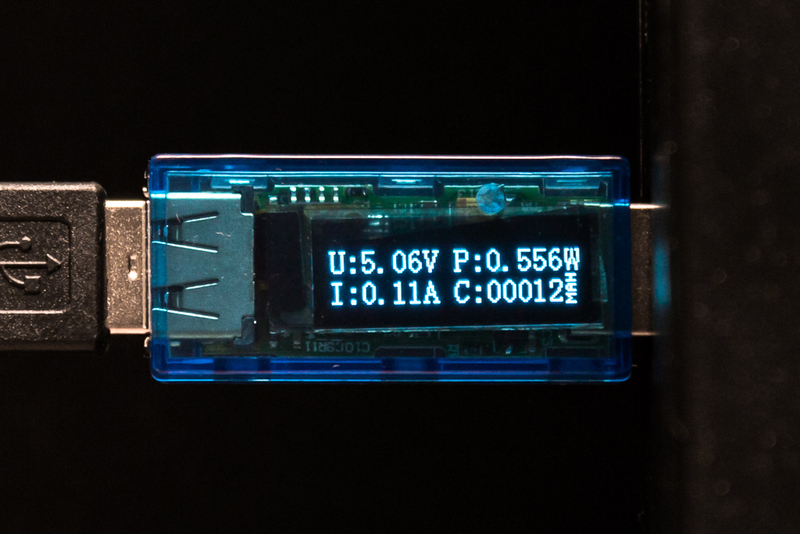 They are small devices with a size of 74 x 67 x 22 mm and a weight of 58 g.
The first step was finding an adequate battery-packs as power supplies. I used four Mignon (AA) batteries in a battery-pack, connected in series, and added a self-built mini-USB connector to it. The battery packs add some extra weight: a router plus battery-pack together weights 186 g.
It looks like these TP-Link 3020 routers can last quite some time powered by these batteries. The routers are slightly oversupplied by the 5.6 Volts (when fully charged) from the eneloop batteries, but I have not yet recognized any instabilities. I measured the power consumption between of a router at its peak, under load (wireless traffic) and in idle state (with wifi turned on). I’m not sure what to make of this: last evening I played around with a new hardware device (a TP-Link TL-MR3020 router, but that’s not the point). I was leaving the room and just as I turned off the lights I noticed a green spot on my desk. 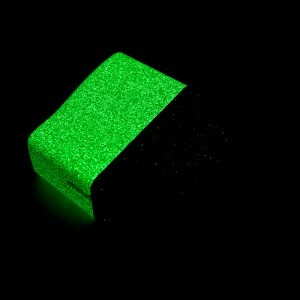 The USB power supply of the device emitted a green phosphorescent glow (Wikipedia). I’m not sure why the manufacturer used a phosphorescent material for the case of the power supply, but the effect is quite impressive (creepy) and lasts for some minutes. 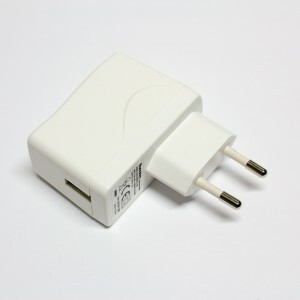 By the way, it’s a Huntkey Switching Power Adapter model HKA00605010-3B. 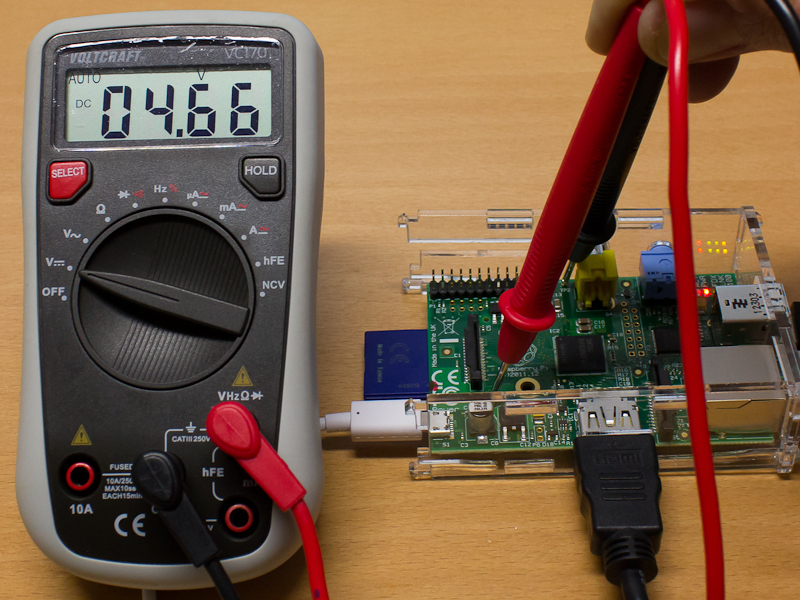 The Raspberry Pi is shipped without a power supply — there is not even one specifically available for this board as far as I know. 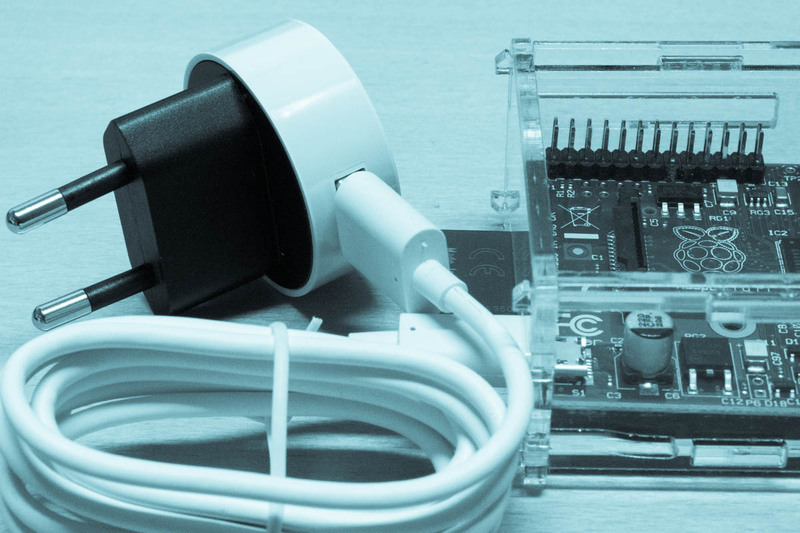 Any micro USB power supply with a least 700 mA should work. But I did not want to rely on no-name products since the board should run continuously and the web is full of reports of counterfeits. So I’m currently using a Nokia AC-16E power supply, bought directly from Amazon (not on the Marketplace). Additionally, I bought a Nokia AC-10E (more or less for free, as their combination allowed free shipping). Based on the way the two Nokia supplies were packed and labelled (including safety marks and QR-Codes) I believe they should be genuine. From left to right: OTB TR-005, Nokia AC-10E, Nokia AC-16E. 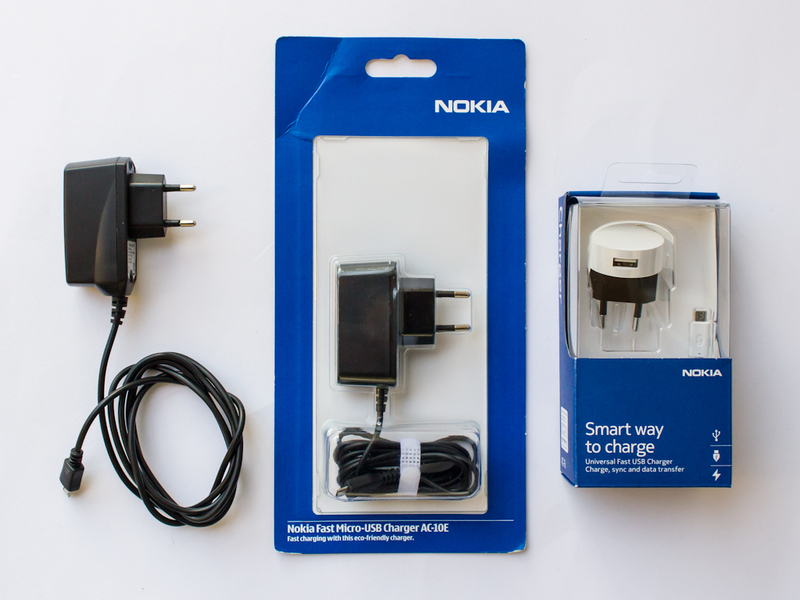 I tested the Nokia supplies and another (cheap/crappy?) one from OTB I already had lying around. Update: As requested in a comment, I have also added measurements of the on-board voltage between TP1 and TP2 (more information about these pins can be found here). 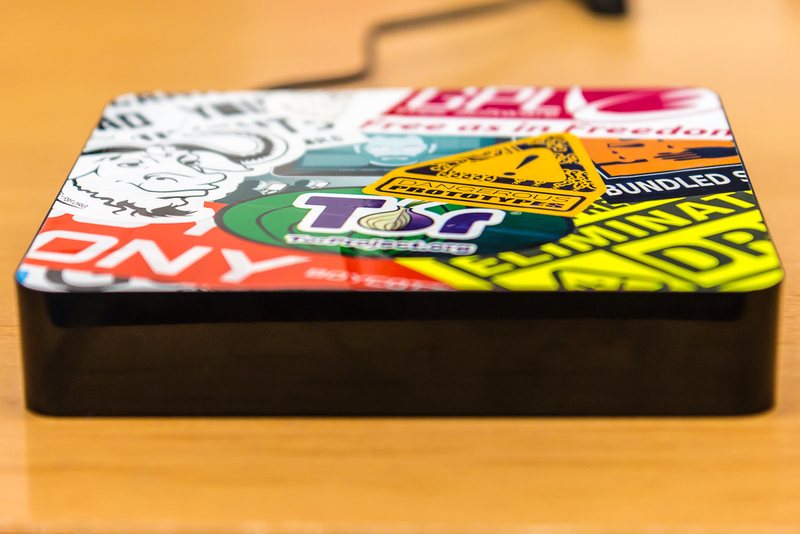 All three of them were able to support the Raspberry Pi board with several connected USB devices (passive hub, keyboard, mouse, wireless adapter) and a connected monitor (HDMI). There wasn’t much difference between them, all three ‘consumed’ about 3.8 W (6.7 VA) on average (1 hour; varying workload) and I did not notice any glitches. Still, a power drop was noticable when comparing the on-board voltage with and without any attached devices (sd-card only). With the Nokia AC-16E power supply, the voltage dropped below the recommended 4.75 V.
Update [2014-11]: I’ve in the mean time switched to the Nokia AC-10E supply which seems to be more stable. Also I am running a second Raspberry Pi B+ now with a 2 A power supply.